We had set foot (or actually driven the car from the ferry) at Digby, Nova Scotia and found ourselves driving to Halifax, when I noticed the sign for Greenwood and remembered from Bob Ogden's book on aviation museums that such on institution existed there. So we took the exit and quite miraculously it even stopped raining long enough for me to photograph the aeroplanes on display outside. Upon my visit I was told that the CC-129 (DC-3 / C-47B KN451) was stored on the base in a hangar; a new extension of the museum was planned for 2012 and would see the return to public display of the DC-3. 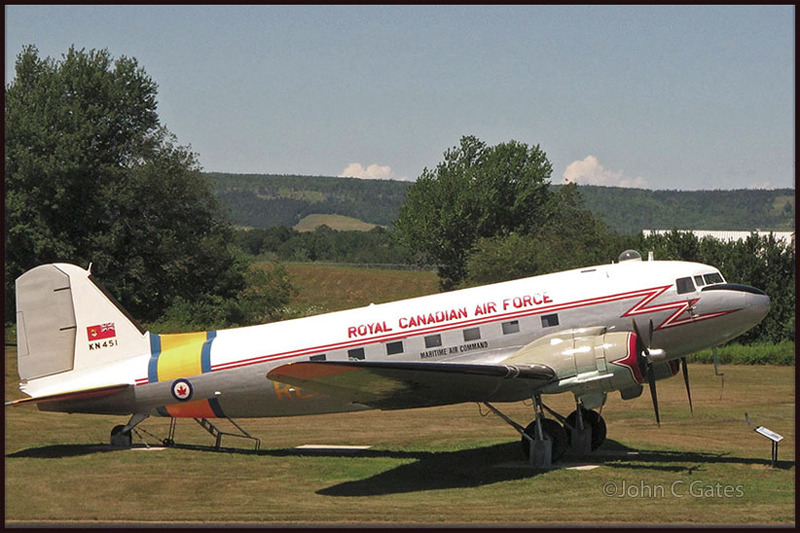 Douglas CC-129 Dakota KN451 at Greenwood's Military Aviation Museum, Nova Scotia - 02Aug15 by John C Gates. A Fairchild Bolingbroke (identity unknown) was also under restoration during my visit, in a building behind the museum, but this was kept off limits to visitors. Due to time contraints I did not visit the exhibition inside the museum. 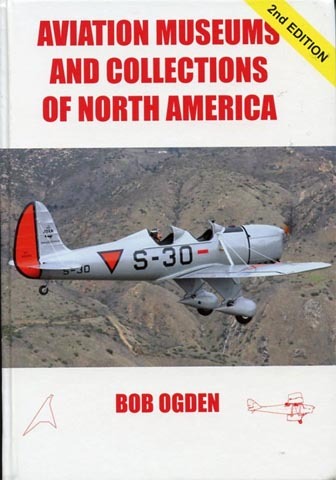 The best book to take with you for visiting aviation museums, are the ones compiled by Bob Ogden for Air-Britain; for this trip I carried with me the recently (2011) updated guide for North America. This 2011 edition is fully revised and also includes monuments, again published by Air-Britain (Historians) Ltd.